hilda provides the interface for loading files into the Fedora repository and adding metadata from other sources. 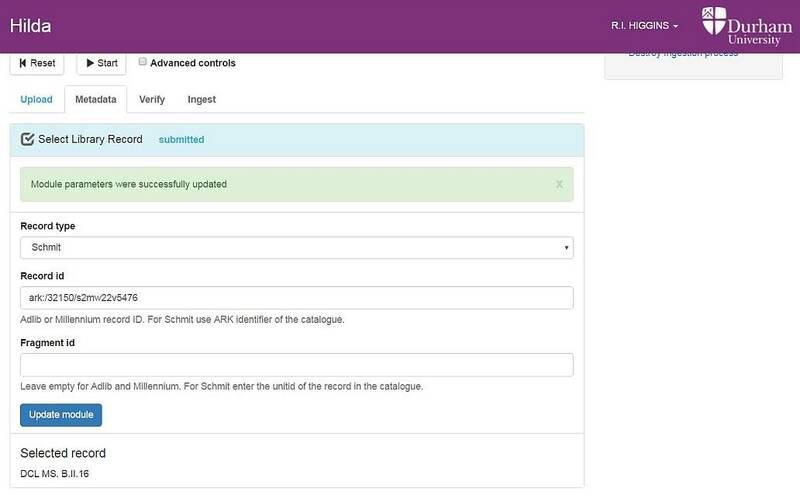 After selecting the files to upload the interface allows you to identify the existing catalogue record for the material that has been digitised by choosing the source of your description and entering the unique identifiers that select the single record or item from the catalogue. The new set of images is associated with an existing collection (which may have subsidiary parts nested within it). 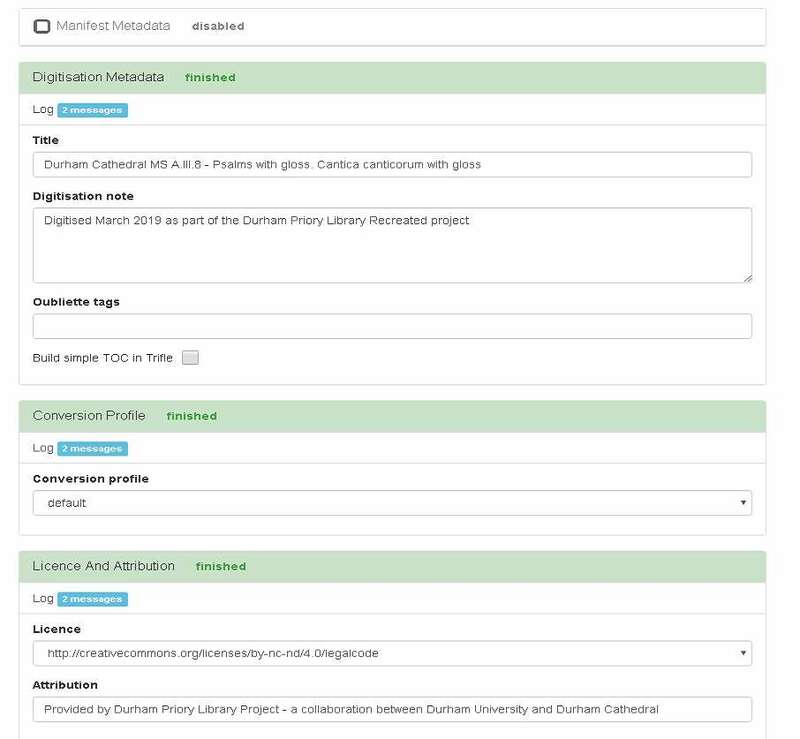 This allots a place to the output IIIF manifest within the overall tree of our collections. 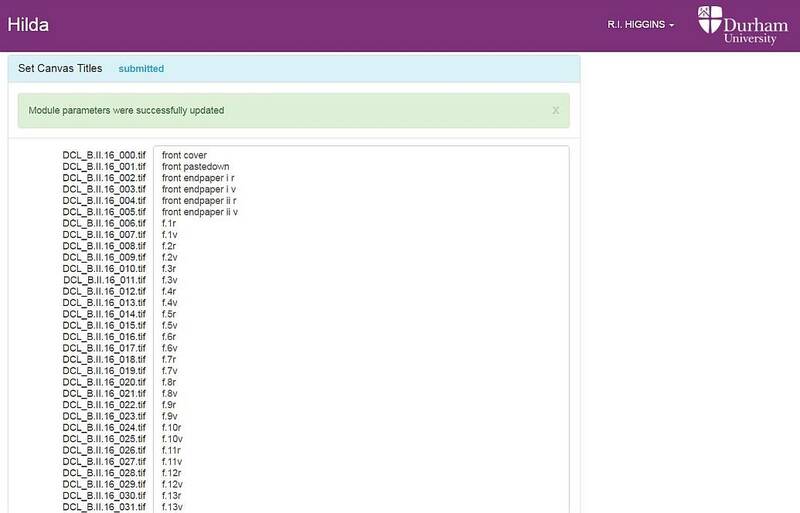 After adding all the information, hilda checks all the files and verifies that they are well-formed image files of the format expected, generates a checksum that can be used to check that the same file is used throughout the ingestion process and then sends the files to the digital repository (oubliette) and the IIIF interface (trifle). This is the last phase of ingestion that requires human interaction, although the two other modules do provide further features that can be used to improve the content.